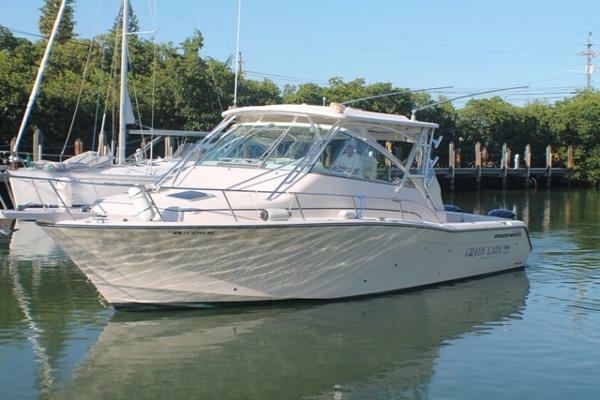 2005 Grady-White Express 360 2005 Grady White Express 360 2005 Grady-White Express 360Triple Yamaha F250's : Just had new powerheads and midsections installed in February of 2014. No Corrosion Problems!Lots of added Extras:Twin Furuno NavNet unitsFuruno VHFFuruno AutopilotKenwood Sirius RadioLewmar Bow ThrusterWindlass AnchorCall for other details!This boat was also just detailed and received fresh bottom paint in July 2016! 2013 Grady-White Express 360 Grady White 360 Express Powered by Triple Yamaha F350 V-8 Four-Stroke Outboards with only 60 Engine Hours. This Boat Boasts the very best Of Everything! Refrigerated/Freezer Plates in Transom Fish Box and Portside Cooler, Hot Water at the Transom, 16K AC, Large Kitchen Area, Stand Up Shower, Comfortable Cabin Seating for 4 Adults, Large Aft Berth, Corian Countertop, Stainless Steel Sinks, Fisher Panda Diesel Generator, Portside Cockpit Fold-Up Bench Seat, Dual 12" RayMarine E- Series Touch Screen Electronics, Autopilot, Standard Horizon VHF/GPS, Remote Spotlight. Too Many Options To List! The Boat Must Be Seen To Be Appreciated! 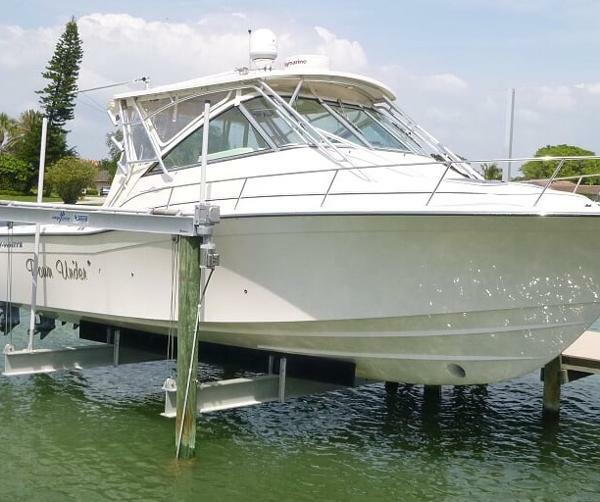 2006 Grady-White Express 360 TRIPLE 2012 YAMAHA 300HPONLY 50 HRSALL NEW ELECTRONICS This Grady White 360 Express was Grady Whites demo boat until she was commissioned in 2012 by her original owner and new engines were installed. She has alway been kept under cover in a high and dry and with only 50hrs on the trip Yamaha's and new electronics she shows like a new boat. 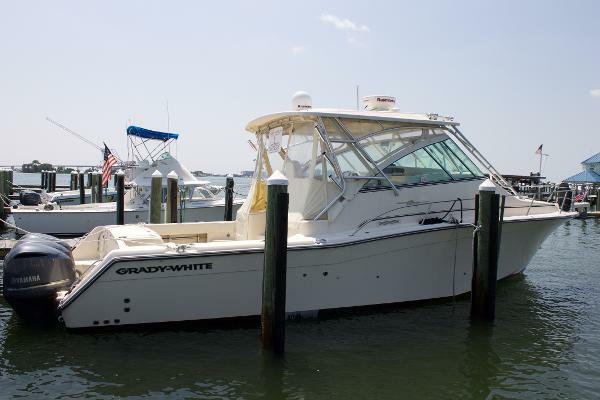 2008 Grady-White Express 360 New to market, this 2008 36ft. 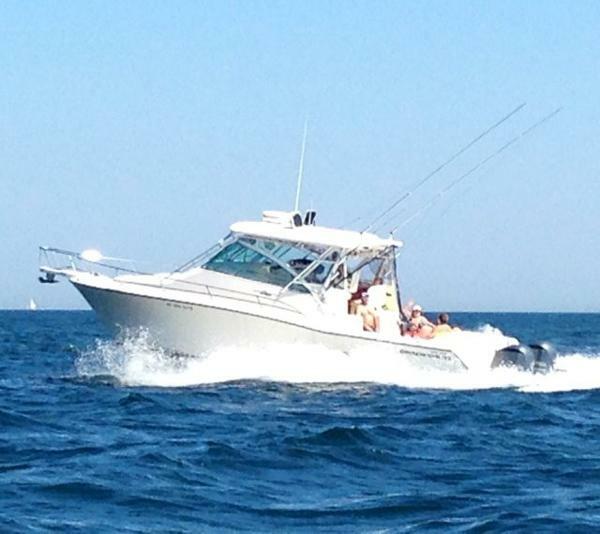 Grady White 360 Express is a one owner boat. She is powered with twin Yamaha 350 4 strokes that easily cruises this boat and makes it perfect for island hopping and weekend get-aways. 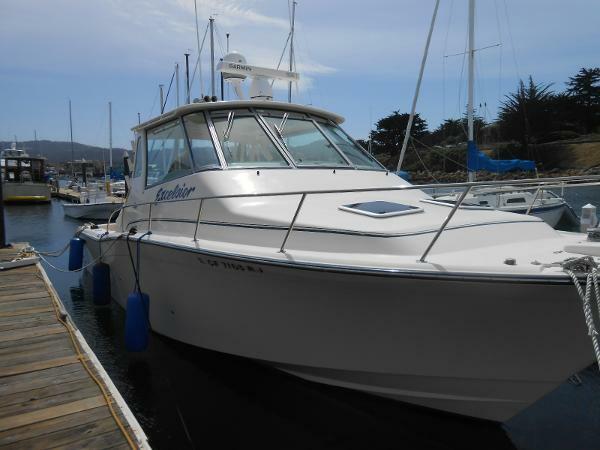 She comes equipped with a Garmin 4212 chartplotter, Simrad Auto Pilot and more. This boat is equipped with a Bow Thruster and a Diesel Panda 8KW Generator and 16K BTU A/C to keep you cool and helm A/C. She comes equipped with two extra large queen berths, one forward and one aft, full beam, and a convertible dinette, sleeping six adults comfortably. 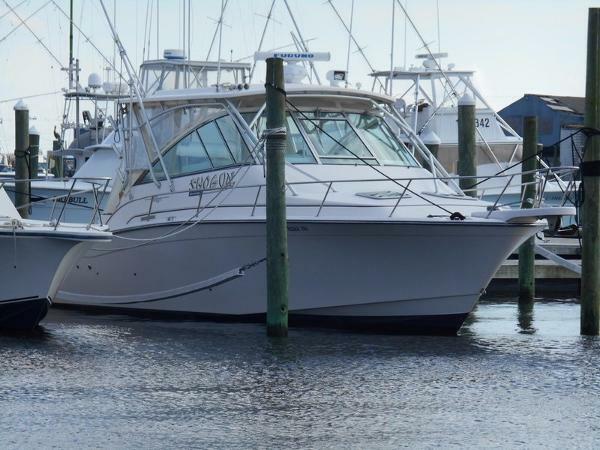 She sports a full galley with Corian counters, large head and shower, this boat is perfect for those overnight family offshore fishing, diving and cruising trips to the Bahamas. Seller Listening to All Reasonable Offers!! 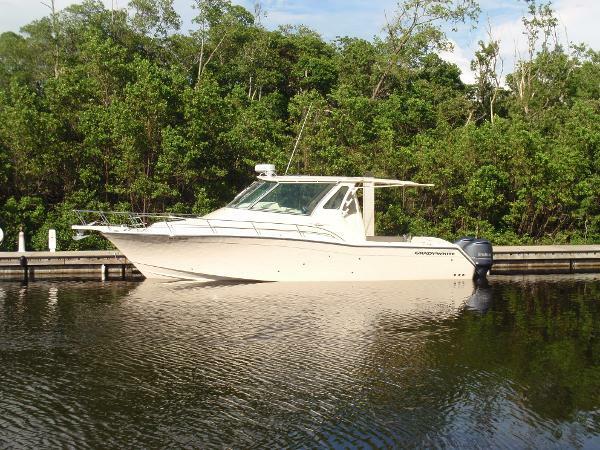 2012 Grady-White Express 360 Seller is a 2 boat owner -- bring your offers!!! This clean, low hour (240! 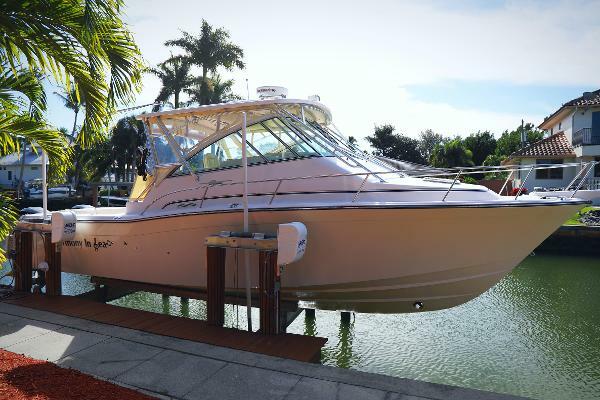 ), 2012 Grady-White 360 Express features the full glass hardtop enclosure and a custom fabricated aft sun shade. Designed for more coverage than a SureShade, this folding aluminum frame really adds to the versatility of this great boat. This Grady has all the right options, low time, and user-friendly Garmin electronics. Auto pilot, radar, VHF, spotlights, GPS, fish finder / depth finder. Save big over a new purchase! Generator, air, helm air, refrigerated boxes, and well kept! See photos and listing details for more info and contact me directly today. Boat is easy to show. 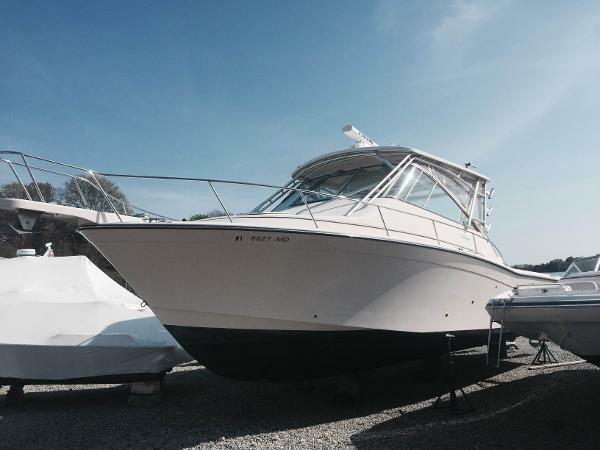 2012 Grady-White Express 360 Pristine Grady White Express 360 with only 119 hours. Meticulously maintained. Approximately 50 K in electronics highlighted by twin Garmin 7212 touch screens, including Garmin auto pilot, radar, and vhf. Cannon down riggers and factory generator. Serious inquirys only, shown by appointment. 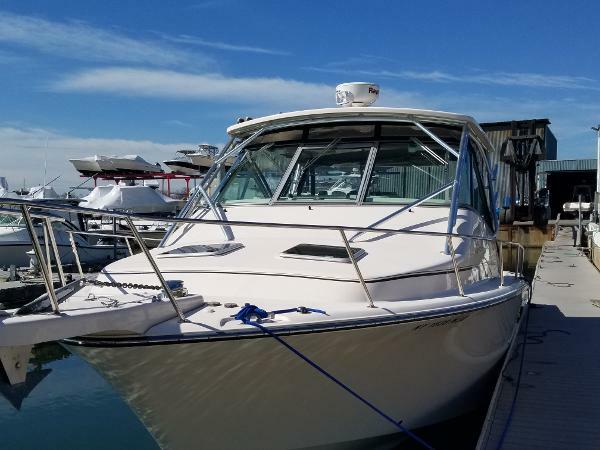 2008 Grady-White Express 360 ***Certain Trades Considered*** "Lady M" is being offered by her original owner that has had her professionally maintained since new. She features twin 350 Yamahas (new ECM's) with 400 hours, Bow Thruster, Dual Raymarine E-120's , Radar, Chart Plotter & Fish Finder, Diesel Fisher Panda Genset, cockpit freezer and TACO telescoping riggers. Please call to make and appointment today!